Frutmac is a leading manufacturer and supplier of tailored packaging solutions and machinery for the fresh food sector. Its development and planning department, the possibility to implement complete packaging lines, and an unlimited range of packaging materials make Frutmac a well-known and reliable food packaging supplier. With over 50 years of experience in the design and construction of packaging lines throughout Europe, constant R&D investment and a Europe-wide customer service, Frutmac is a real expert in the field. The company works following three simple guiding principle, being solution-oriented, customer-oriented and offering a full-service. As the CEO of the company says: “Experience does not solve problems on its own, but it really helps”, Frutmac can count on a highly-qualified technical staff, able to develop specific solutions for all customers’ needs. Within the company, people have a central role, whether they be employees or customers. Therefore the company provides clients with everything necessary, from pre-sales advice to full technical support during the warranty and post-warranty period. Frutmac offers a full range of services from the design and production of new packaging solutions, installation and start-up works, and is also happy to advice its clients with the best matching packaging materials. What makes Frutmac’s offer really special is the ability to offer individual packaging solution, suitable for any design and marketing requirements. Each product requires a special packaging, whether for legal, hygienic or cost reasons. 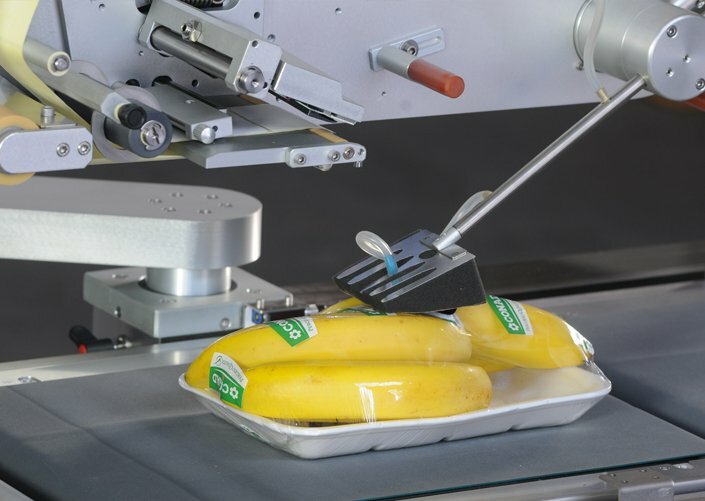 Frutmac’s development department is always on the lookout for new trends and ideas in order to offer sustainable packaging options, guaranteeing product preservation, best machine-running properties and longer shelf life. The company can pack fruit, vegetables, berries, meat fish, bakery products, dried fruit and much more. Among the packaging solutions offered by Frutmac there are trays, alveoles, films bags and pouches. Trays are an optimal packaging solution for many types of products, such as fruit, vegetables, berries, dried fruit or bakery products. Whether in polystyrene, PP, R-PET or cardboard the company is able to deliver foodtainers in any shape and design. Cardboard trays are made of corrugated board or grass paper, to be wrapped with stretch or flowpack films. 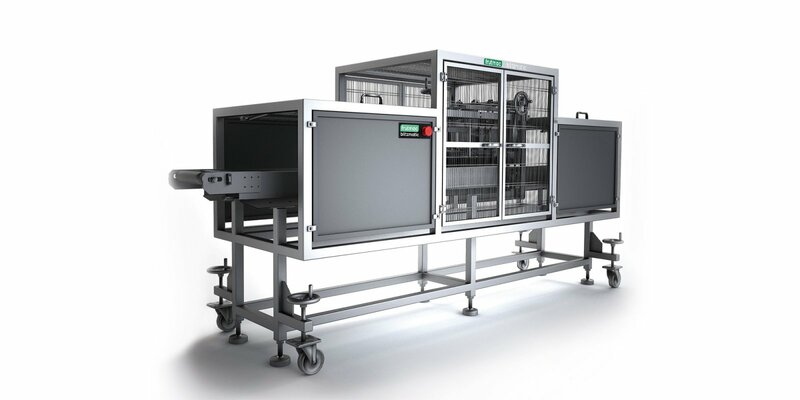 They are also available with PET-coating, with or without lid, already mounted or flat, and can be personalized with offset, flexo or digital printing. Alveoles make the shop-presentation of fruit and vegetables in a stable oblique position and allow safe transport. They can be realised in ground wood pulp, paper and plastic in various sizes, colours and shapes. Paper alveoles can be printed in 4 colours to maximise the advertising effectiveness. 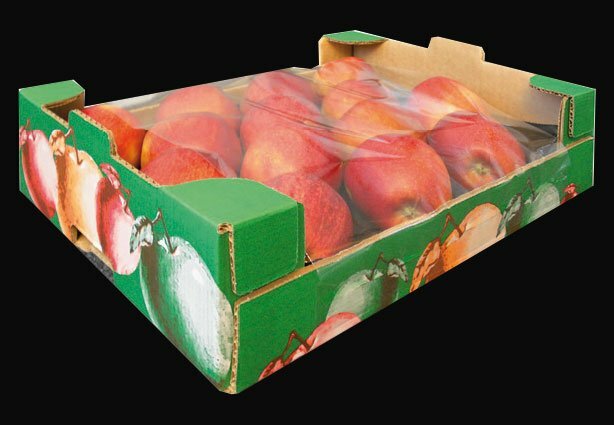 Frutmac only offer high-quality stretch, plateau, top-seal and flowpack films in order to guarantee the best product protection while maximizing its shelf life. Films can be of different materials (PVC, PLA, recyclable films) and can be transparent, micro or macro perforated. With multicolour printing, they are ideal for advertising purposes. All bags and pouches can be purchased as single items or on a roll. They are extremely resistant and transparent. They can be processed both by machine and manually, and can be printed in multiple colours. A wide range of accessories for all kinds of packaging solutions completes Frutmac’s offer: from labels to glue for packaging films, all accessories are of the best, high quality. Frutmac produces and supplies highly-efficient packaging machines that work trouble-free for extended period of time. All machines are suitable for the installation of new packing lines as well as for the integration or extension of existing packing lines. In combination with the packaging materials offered by the company, smooth packaging processes are ensured. Frutmac’s machinery are able to satisfy the following options: automatic feeding; automated placement/positioning; sealing; product weighing labelling and preparation bulk packaging. Frutmac’s R&D department and highly-efficient service team allow the company to be at the forefront of design, technology and innovation. The company is able to respond to the most demanding needs, guaranteeing tailored solutions to its clients. Its presence throughout Europe makes Frutmac a reliable international partner.